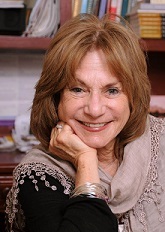 Listening to the Inner Voice: The Healing Power of Writing – Judith Ruskay Rabinor, Phd. People with eating disorders come to therapy talking endlessly about food, fat, dieting and losing weight, a focus that distracts them from deep wells of pain. Disconnected from their inner hunger, they are isolated from themselves and others. A major goal of therapy is helping them develop connections; to their therapists, to other people, to their inner psychic worlds and eventually, to the larger world – of spirituality, nature and community. I am not a silent therapist. I talk, ask questions, give advice and suggestions and laugh. Occasionally I tell a joke. But for the most part, I listen more than I speak. One goal of psychotherapy is expanding the practice of consciousness. Helping my patients slow down and listen to the inner voice is the core of my work as a therapist. One way I help my patients access their inner world is by introducing them to writing. This practice has evolved from my own personal experience. For me, writing has been a pathway to spiritual and psychological wholeness. The territory of writing is vast. Throughout the ages, spiritual seekers have found refuge and enlightenment in journals. More recently, new research from Pennybaker and his colleagues suggests expressive writing may boost immune functioning in patients with illnesses such as AIDS, asthma and arthritis. For years, therapists have been using logs, questionnaires, journals and other forms of writing to help people heal from stress and trauma. I introduce writing to my patients in many ways. Often I begin with, “Just keep track of what you are eating – and how you feel as you think about eating.” Sometimes I suggest people write before they binge, hoping to help them see that binges don’t just happen and are in fact “planned” events that serve a function. An impulsive patient may benefit from a regular writing schedule, whereas concrete patients may grow when I am intentionally vague in giving instructions. Eventually I try to help most people with eating disorders track the relationship between food and feelings. A major therapeutic accomplishment occurs when patients begin to simply notice how their eating serves an emotional purpose in their lives. Writing awakens self-awareness in many ways. It can help patients become conscious of the triggers to their binging. For example, in a recent writing retreat a 45-year-old woman wrote a letter to her deceased mother. In reading the letter aloud to the group she came to understand anew how her unexpressed grief was masked in her bingepurge behavior. In another example I suggested to a starving anorexic, “Make a list of 15 things you like to do to have fun.” Tears came to her eyes when she realized she had lost touch with so many aspects of her life that once brought her joy. Something as simple as taking pen to paper can defuse stress, evoke curiosity and inspire creativity. While writing is certainly not for everyone, it can evoke deep feelings of gratitude about how much one has inside. When I was 12, my grandmother took me to the Broadway production of THE DIARY OF ANNE FRANK. Sitting in the dark, I was mesmerized by the earnest, scared girl, whose body was trapped in a teeny space, hiding from the Nazis. By the time the knock came on the annex door and the curtain fell, I was overcome with grief. The next day I began my first journal. When I was young, I learned that writing was one way I had of caring for myself, of feeling safe when I felt lonely or scared. Later, spiral notebooks and eventually more elegant, cloth covered books gave voice to my inner musings, psychic struggles, joys and sufferings. As a college freshman, I was greeted in English 101 by Professor O’Hara, a tall imposing man with a woolly beard. He opened the first class with powerful words, unforgettable to my impressionable mind. “We read to know we are not alone, we write to find ourselves,” he stated in a somber, deep tone. His words inspired a new kind of journal, quote books, where I recorded and mulled over what I felt were words of inspiration from great thinkers, poets, or Professor O’Hara. Eventually, I became an English teacher, where sharing my passion for reading and writing became my mission; No easy task as my students were poor readers and hated writing. “Why do we have to write?” they would ask. There is something about writing it down which is different from talking it out. Writing builds trust in one’s ideas and beliefs. Writing reveals the self. Writing connects one to ones’ insides. Because writing and the poetic process have enabled me to know myself in a unique way, it is no wonder that when I became a psychologist, writing became woven into the fabric of my clinical work. For the eating disordered patient who has difficulty knowing her own thoughts and feelings and has difficulty developing connections to others, the process of psychotherapy can be a daunting challenge. Therapy is first and foremost a relationship and people with eating disorders are not comfortable with close relationships. Questions are often met with silence; The therapist may be experienced as intrusive and controlling. Writing in a journal permits a patient to open up at her own rate and it allows one to be in control as they move from a solitary position to a more interactive one.